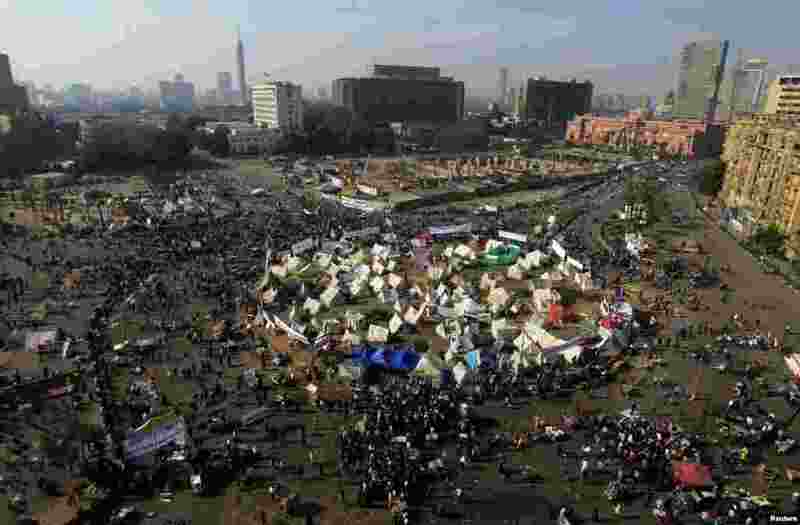 Egyptians gathered in Tahrir Square Friday for an eighth day of demonstrations against President Mohamed Morsi, as an Islamist-dominated panel approved Egypt's new draft constitution. 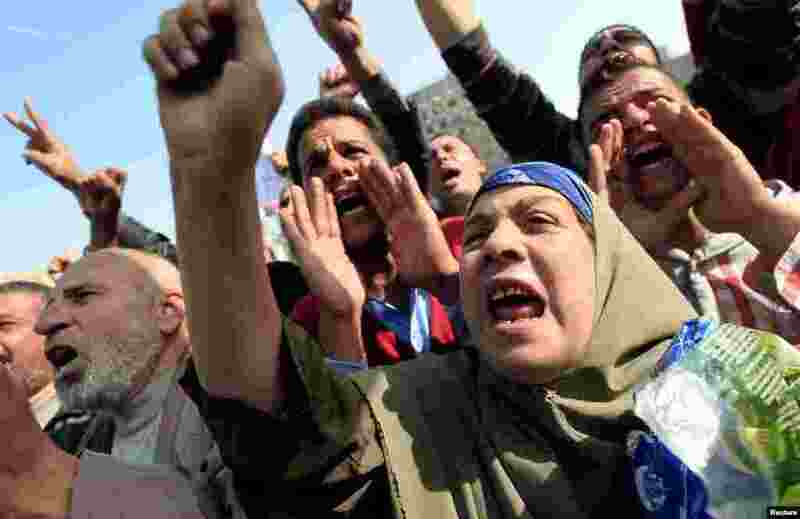 1 Protesters chant anti-government slogans in Tahrir Square in Cairo, Egypt, November 30, 2012. 2 Protesters in Tahrir Square in Cairo, Egypt, November 30, 2012. 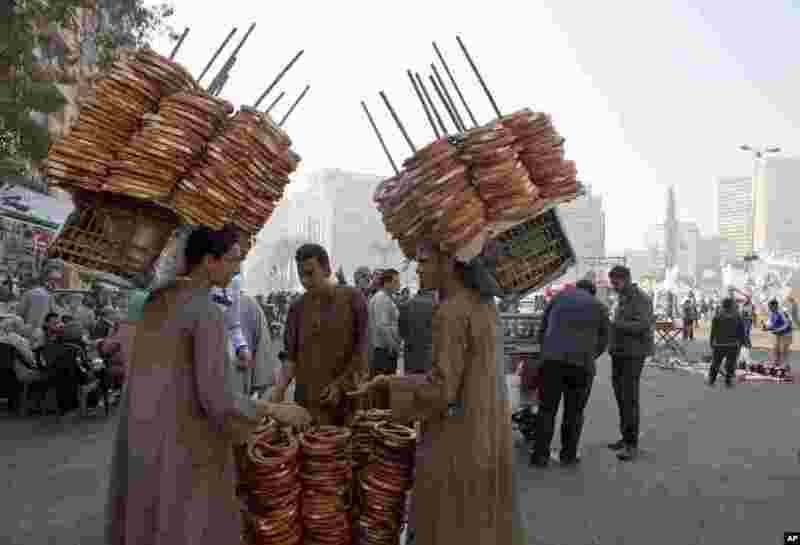 3 Merchants sell bread to protesters, some of whom have camped out in tents since last week, as opposition groups plan to gather for a rally in Tahrir Square, Cairo, Egypt, November 30, 2012. 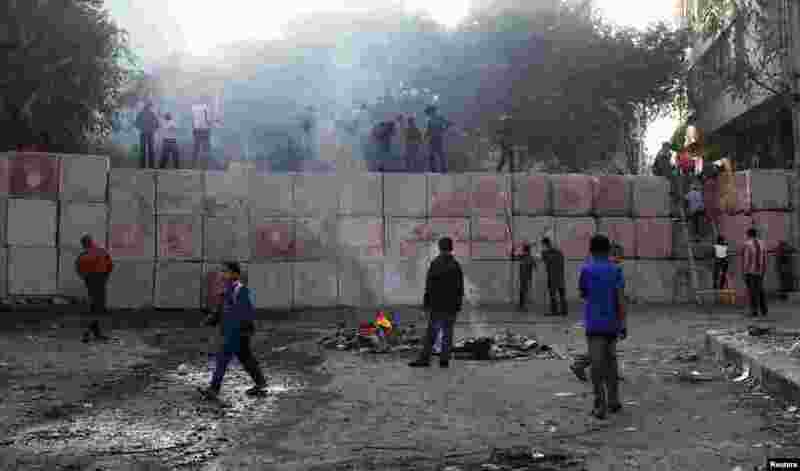 4 Youths climb a wall that was built by police to prevent clashes between protesters and police at Tahrir Square, Cairo, Egypt, November 29, 2012.